Distinction is Fabulous Condominium Living at Yonge & Eglinton.When it comes to choosing what you want today, the possibilities are infinite at Distinction Condominiums, it is in one of Toronto's most convenient and vibrant locations. South midtown living takes on a vibrant downtown vibe when you're steps from the Eglinton subway and the future LRT. The Yonge & Eglinton Area in midtown Toronto is an Anchor Hub in the GTA. Distinction Condos is a new condominium and townhouse development project by Lash Group of Companies presently in pre-construction at 11 Lillian Street in Toronto, Ontario. This project is a proposed 19 storey building with a total of 159 residential units. Sales for available units starts in the Mid $300,000's. Access is from Lillian Street at the north end. 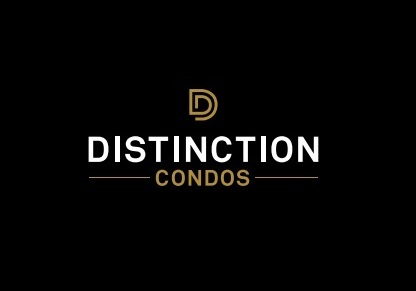 Distinction Condos is not what you typically find at Yonge and Eglinton. Sitting a few blocks west of Mount Pleasant Road and just one block south of Eglinton, this is the place a discerning few will soon call home. Distinction Condos looks out over quiet residential streets and is just a five-minute walk from the thriving corners of Yonge and Eglinton. A short stroll from Distinction Condos takes you to all the stores, restaurants and convenient transit options this neighbourhood offers. Toronto Life Magazine recently evaluated 140 neighbourhoods in the Toronto area. The neighbourhood with the highest scores is Yonge and Eglinton. This is where the Lash Group chose to create their newest condo development – Distinction Condos.Here you will have your choice of one-, two- or three-bedroom suites, each with its own terrace or balcony overlooking this vibrant neighbourhood. Yonge & Eglinton is a vibrant neighbourhood and to add to that will be the new development of the Distinction Condos coming soon by Lash Group of Companies! Register with us today for your VIP Platinum Access to the Distinction Condominiums! The design of the building is distinctly contemporary – a contextual brick-clad base for a uniquely sculptural residential tower. The concept behind the amenity spaces is timeless luxury – the interplay of carefully curated textures and materials creating a refined and sophisticated environment. With the use of understated yet unique furniture, the spaces become a rich tapestry – an elegant backdrop for distinctive living. The dramatic double-storey lobby is intricately layered with panels that wrap from floor to ceiling. The custom-designed brass mesh lightbox above the seating area and the feature wall behind the concierge desk add elegant shimmer to the lobby. The digital hub contains a large meeting table plus a television, a printing station and a coffee station. Designed with the executive in mind, this is a place where you can read a newspaper or host a meeting. The lounge area – with direct access to outdoor space – features a bar, a fireplace, a billiard/ping-pong table and a playful modular seating system, complete with a large-screen television. The colours are rich and the space is open. You will be able to enjoy a game or two while mixing cocktails at the bar. This fully equipped fitness room is an exciting space, complete with a one-of-a-kind architectural element, that incorporates drinking fountains, a rest area and a barrier-free washroom. The yoga/dance studio – featuring a floor-to-ceiling mirrored wall and a ballet barre – is located within the fitness room. The studio provides space for a variety of healthy activities and for one-on-one workout sessions with your trainer. The presentation kitchen is fully equipped, perfect for cooking classes or wine tastings. This room also functions well as a casual bar, with its flexible seating and a television, along with direct access to an outdoor terrace. The lounge area offers ample seating, great for socializing in a more relaxed setting. The dining room, which includes a fireplace and a feature-art wall, offers an excellent space for an elegant 14-person dinner. The outdoor terrace offers spectacular views from the 19th floor, with a layout that echoes the sculptural quality of the building. 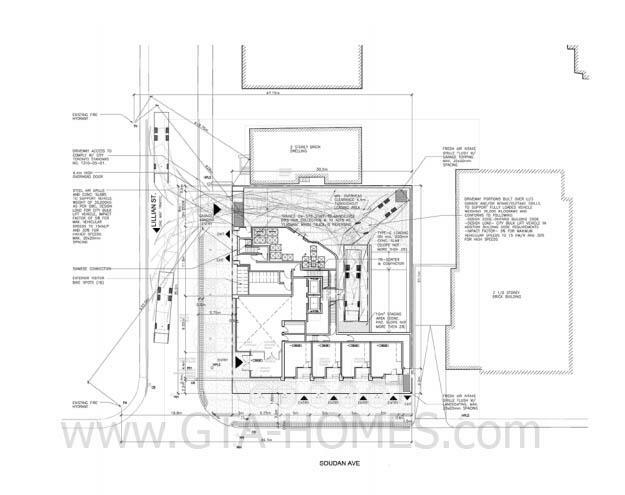 The west-facing sundeck, complete with a water feature, is an outdoor retreat. Surrounded with greenery, it is a perfect place for meditation and yoga. An open metal canopy provides shade for two barbecue areas. A variety of elegant south-facing outdoor rooms create abundant opportunities for semi-private or communal dining and lounging.